In stock. Order in the next 12 hours and it will go out today! 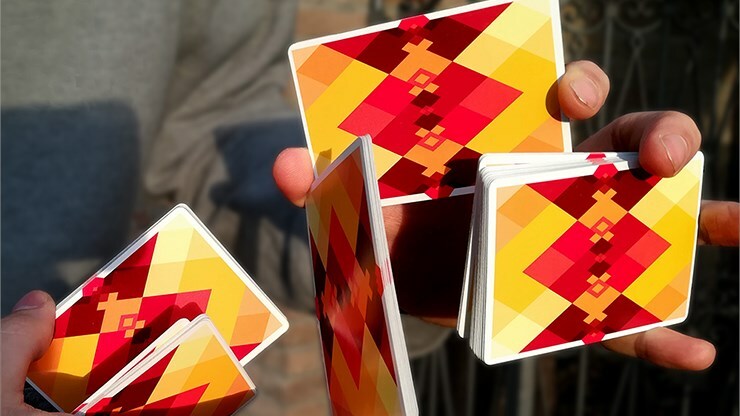 This deck is the second installment to a playing card project created by Artedame Dutch Design Studio in collaboration with Bocopo Playing Cards Company and several cardists and magicians. For this winter's release, we came up with an eye-catching deck that features a unique diamond pattern like N° 2 of last summer. With shades of cherry wine red and buttery yellow, the colors complement one another and fuse to create a unique pattern. This harmonious composition awakes the sense of a warm winter, thus: "Winter Warmth." We wanted to continue the trend of assembling diamonds together in such a way that it creates a geometrically pleasing pattern with vivid colors that pop when fanned, flourished, and dealt. 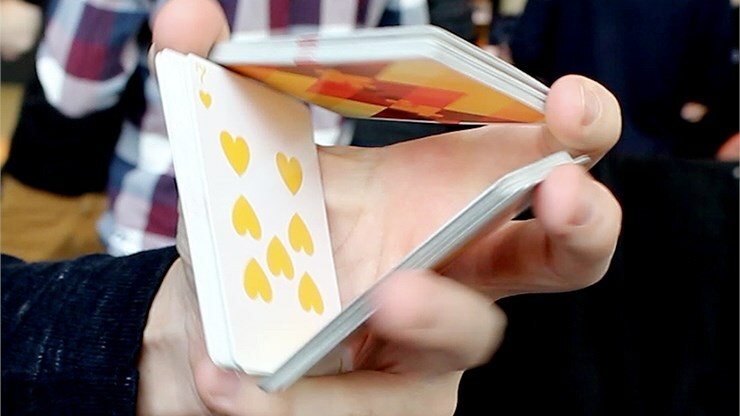 Cardists will be thrilled with the results! This time around, we decided to change the index to the traditional font to make it easier to play with. 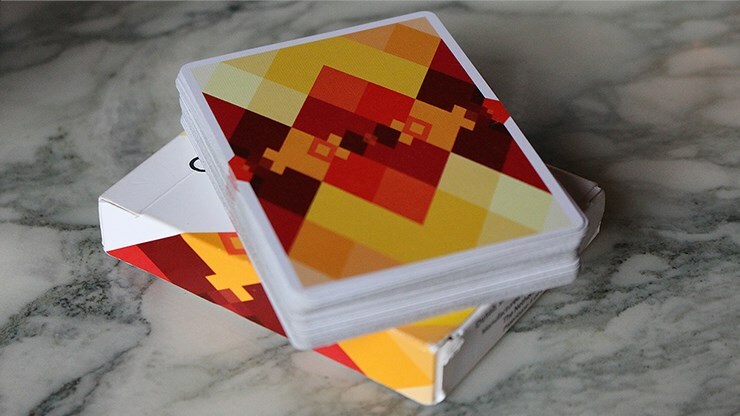 We continued to go with USPCC's quality to ensure that the cards are top-class. This guarantees that N° 5 will be even better than the previous version, N° 2. 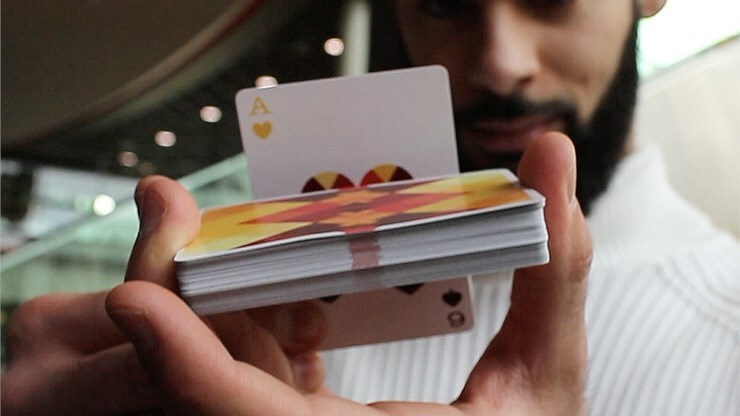 This is the deck I'm currently using for cardistry. I love the autumn feel of the colours, with browns, oranges, and yellows; or the feel of a warm fire on a cold day. Diamonds are a strong theme in the artwork. The card backs have borders but a red diamond on the side of the cards goes to the edge, which makes fans look especially great. The pips look pleasantly fat, although I'd have liked the diamonds to be a little thicker to match this style. 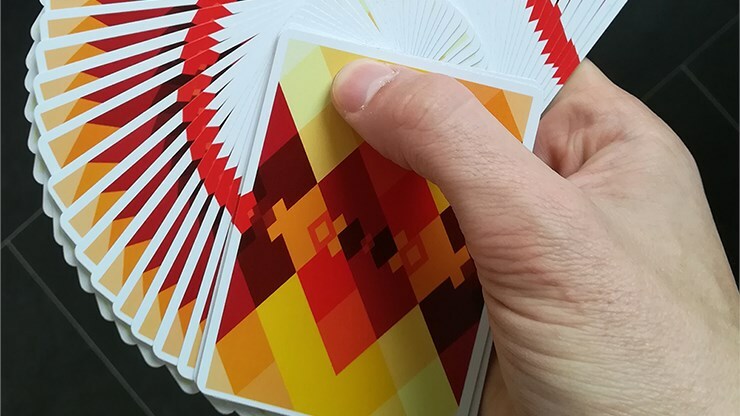 The court cards will be a matter of taste - they are very non-traditional, and while there are elements of standard courts, they are basically a geometric pattern; so not practical for games, but I love them for cardistry. 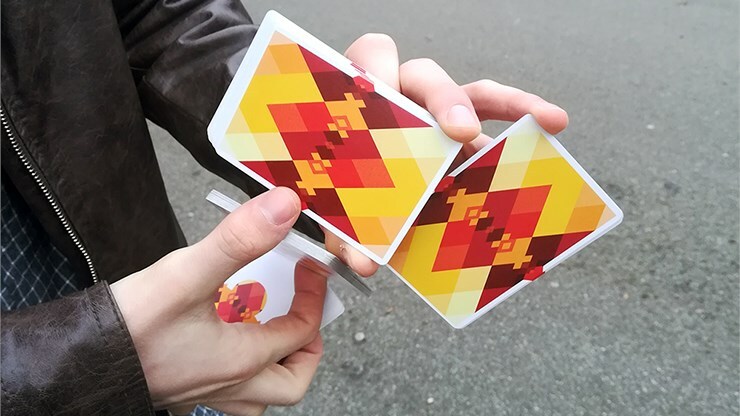 Handling is great - and I'm glad I picked these up for cardistry.